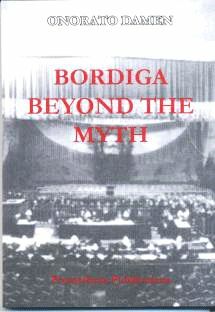 Bordiga Beyond the Myth by Onorato Damen is now available in English translation (it already exists in Italian, French and Spanish). It contains 168 pages and includes 114 footnotes to guide English readers plus 4 appendices, one of which is the first full translation in English of Bordiga's famous letter to Karl Korsch. The price of £7.25 includes postage and packaging in the UK.